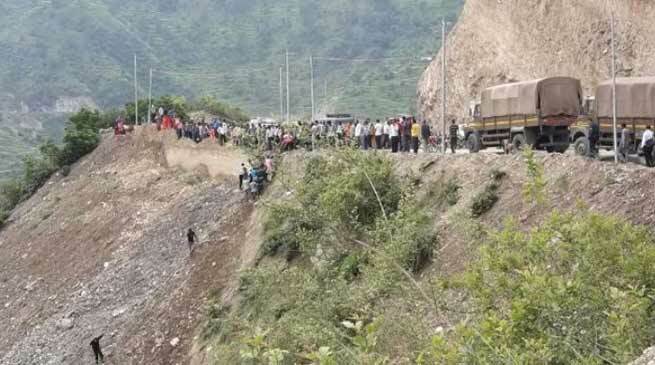 As many as 14 people lost their lives and 18 others were injured after the Uttarakhand Transport Corporation bus they were travelling in skidded off the Rishikesh Gangotri highway and rolled down a 250-metre deep gorge near Suliyadhar in Tehri district. The state administration has deployed helicopters to transport the injured from the spot to the All India Institute of Medical Sciences, Rishikesh. The government announced a compensation package of Rs 2 lakh each for the family of the deceased and Rs 50,000 for the injured. It has also ordered a magisterial inquiry into the accident.